The Bat is back! 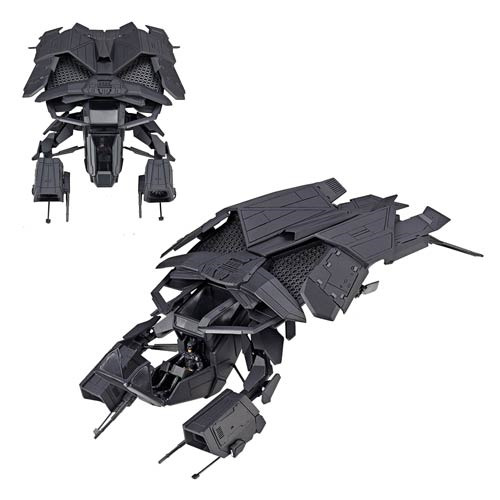 From the Batman movie The Dark Knight Rises comes the Revoltech action figure of The Bat vehicle! Using the "Revolver Joint," it can recreate a variety of action poses from the film. The canopy of the cockpit is detachable, and Batman can be seated there. It measures 5 3/4-inches long and comes with a display stand. Ages 15 and up.